Today, I'm taking a behind the scenes look at the never-completed version of I, Claudius (1937) starring Charles Laughton. 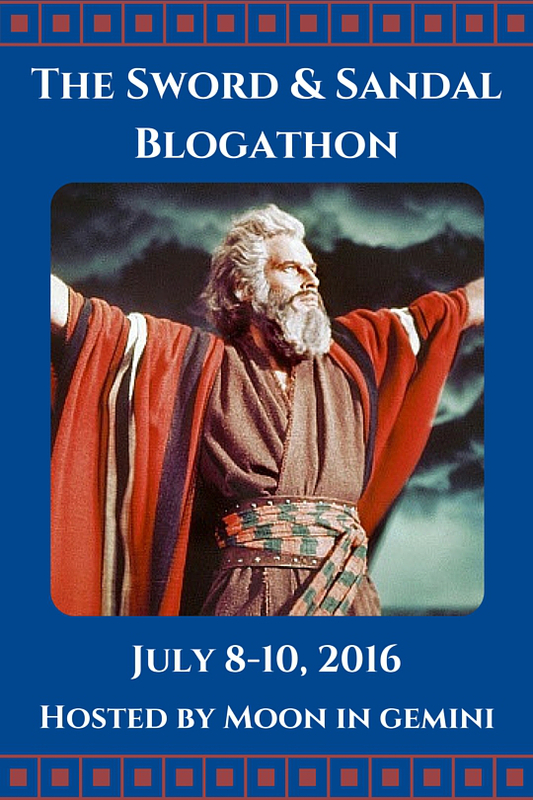 This article is part of The Sword & Sandal Blogathon hosted by Moon in Gemini. The never-completed 1937 screen version of I, Claudius is one of the great question marks in film history. Would the British film, which was filled with major international talents like director Josef von Sternberg and actors Charles Laughton and Merle Oberon, have become a beloved classic like Ben-Hur (1959) or The Ten Commandments (1956) or would the lavish production have sunk under the weight of its own lofty ambitions like the ill-starred 1963 version of Cleopatra? The only evidence we have today is about 20 minutes of raw footage that shows viewers a grandiose movie that is at times brilliant, meandering, and campy. I, Claudius began as a 1934 historical fiction novel by Robert Graves about the shy, stuttering man who, against all odds, became the fourth Roman emperor. I, Claudius and its sequel, Claudius the God, were both bestsellers and British producer Alexander Korda quickly scooped up the movie rights for London Films. Korda, who hoped the production would put British cinema on par with Hollywood, lined up an impressive cast and crew, including Hollywood heavyweight von Sternberg as director, Laughton as the title character and Oberon as the notorious Messalina (both actors had started out in British films but were by then major stars in Hollywood). 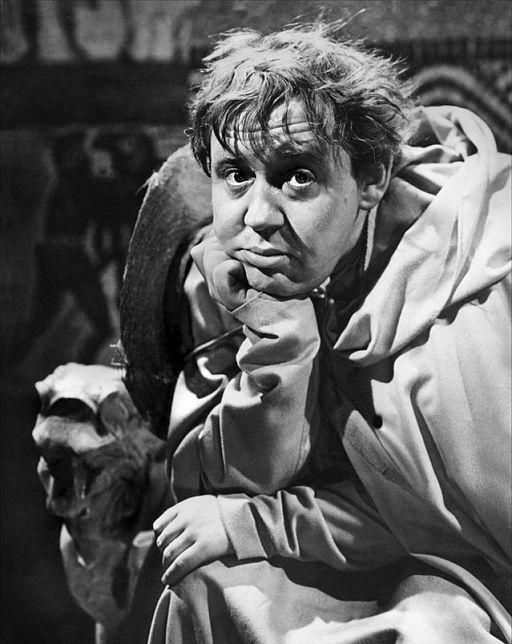 The cast was rounded out by playwright and actor Emlyn Williams as the crazed Caligula and character actress Flora Robson as Claudius' wily grandmother, Livia. 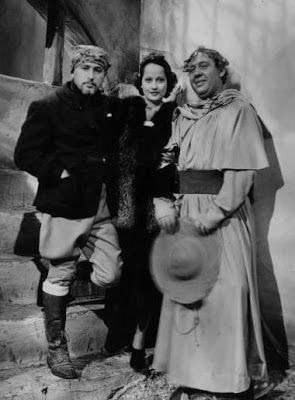 Director Josef von Sternberg, Merle Oberon, and Charles Laughton on the set of I, Claudius (1937). I, Claudius certainly seemed like a good idea -- ancient epics had been a movie staple since the silent version of Quo Vadis began packing movie houses in 1913 -- but the production was troubled almost from the very beginning. The first problem was von Sternberg's over the top style: He made his name by transforming Marlene Dietrich from an ordinary Berliner to a glamorous movie star in films like The Blue Angel (1930) and Morocco (1930) -- if you want to see what I, Claudius might have been like check out the Catherine the Great biopic The Scarlet Empress (1934) -- and he was certainly planning to bring his idiosyncratic style to the story of ancient Rome. One of the most amusing anecdotes in the documentary "The Epic That Never Was" is costume designer John Armstrong's memories about the vestal virgins, who were ancient Roman priestesses. Armstrong had outfitted six actresses in historically accurate gowns when von Sternberg strode in, looked the ladies up and down, and said, "give me 60 and make them naked." The other problem was Laughton. The actor was certainly the only conceivable thirties movie star who could have played Claudius, but he had terrible difficulties getting into the role. Laughton repeatedly told Oberon that "he couldn't find his character" and the rushes show the frustrated actor walking off the set at times. Finally, Laughton decided that he was going to base his portrayal on the ill-fated British king Edward VIII, which meant that he spent a lot of time holed up in his dressing room listening to a phonograph of Edward's abdication speech (if you're curious, here it is). After a few weeks of von Sternberg's over the top demands and Laughton's surly behavior, Oberon was involved in a serious car accident. Korda, who was faced the difficult choice of either replacing the actress or waiting for her to recover, did neither and simply cancelled the production. I, Claudius was mostly forgotten until the BBC unearthed the leftover footage for a 1965 documentary, The Epic That Never Was (if you've got 75 minutes to spare, I've included the full movie below). Not only is the documentary a fascinating glimpse into how movies are made -- it's amazing to see a roaring crowd of extras become immediately silent when von Sternberg yells, "cut" -- but it also provides a sense of what the completed version of the film might have been like. Von Sternberg's lighting techniques give Oberon an exotic glamour and Williams brings exactly the right combination of campy/crazy to Caligula, but it is Laughton's performance that is the standout. In my opinion, Laughton and James Cagney were the two greatest screen actors of the 1930's, and Laughton certainly lives up to his reputation in the scene below where Claudius addresses the Roman Senate. The actor is in magnificent control as he sheds Claudius' simpleton persona to obtain the full might and power of a Roman Emperor. Excellent post. I only know I, Claudius from the miniseries I watched on Public Television. Thanks for sharing, this was fascinating to read! A documentary about the movie called "The Epic That Never Was" is featured as an extra on the DVD version of the BBC/PBS series. To quote Charles Drazin's bio: "Korda Britain's Only Movie Mogul" at p. 186: "The pity is that the surviving footage of "I, Claudius" reveals one of the great Charles Laughton performances." I agree and thanks for the heads up on the Korda bio. I'll definitely have to get that from the library. I thought it was interesting that he chose Edward instead of his younger brother George VI who was a well-known stutterer. Charles Laughton is mesmerizing in this scene! Even when he's just sitting there while others are talking, you can't keep your eyes off him. Thanks for posting this remarkable scene – and the fascinating story of this unfinished film. It's so sad that he was such an insecure person. He had such a rare talent. I saw The Epic That Never Was years ago and it made me so sad that the movie never happened! How odd that Laughton couldn't "find" the character. Maybe it's a good thing for Derek Jacobi that he never did! 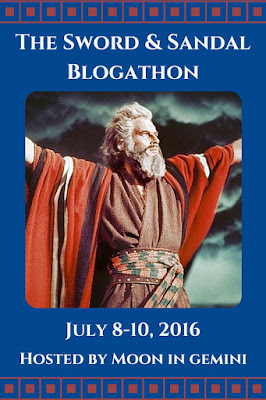 Thanks so much for covering this for the blogathon! Fascinating! Considering the The Scarlet Empress is my favorite Von Sternberg movie, I'd probably fall in love with I, Claudius - if it was ever released. Those "could have beens" in the movie history are always so sad! The Scarlet Empress is my favorite von Sternberg movie too.